Let the voting begin! Future of hockey being rebuilt with $400,000 for arena upgrades. 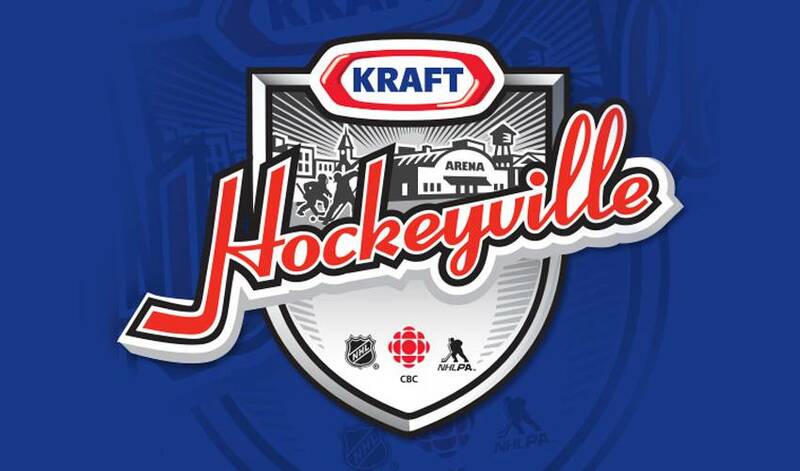 TORONTO, ON March 15, 2015 – Canadians are passionate about hockey, and this passion for both the sport and the arenas that unite communities has been demonstrated with a total of 1,037 nominations for this year’s Kraft Hockeyville. In the end, these 10 exceptional communities are moving on to the top 10 voting round: Dawson Creek, BC; North Saanich, BC; Bonnyville, AB; Morinville, AB; Morden, MB; Chatham-Kent, ON; Haliburton, ON; Saint-Joseph de Beauce, QC; Middleton, NS; and Happy Valley-Goose Bay, NL. Each of the 10 communities will receive funds to improve their local arenas. From change room repairs to access to better ice surfaces, heart-warming stories of much needed upgrades were shared from across Canada, showcasing the immeasurable impact local arenas have on shaping community spirit and keeping the game alive. Beginning at 11:00 p.m. ET on March 21, Canadians can vote for their favourite of the top 10 communities at KHV2015.ca. The top 10 voting phase will close at 11:59 p.m. ET on Monday, March 23. The two communities that receive the most votes will move on to the top 2 final round of voting, beginning at 11:00 p.m. ET on March 28 via KHV2015.ca. The final voting phase will close at 11:59 p.m. ET on March 30. The grand prize winner will be announced during Hockey Night in CanadaTM on April 4, and will be awarded an NHL® Pre-Season Game to be hosted in their community and broadcast nationally on Sportsnet, $100,000 towards their arena upgrades, and the coveted Kraft Hockeyville title. $25,000 for each of the remaining eight prize winners. Learn more at Facebook.com/KraftHockeyville, and join the conversation with @hockeyville using the hashtags #KHV2015 and #KraftHockeyville.